If you have a choice between a pair of dumpy-looking, yet practical and safe, work shoes or a pair of stylishly attractive, yet still practical and safe work shoes - which would you pick? How about the latter? How about these Reebok Women's RB330 Black/Pink ZigKick ... (see full details) (see specifications) #RBKRB330. If you have a choice between a pair of dumpy-looking, yet practical and safe, work shoes or a pair of stylishly attractive, yet still practical and safe work shoes - which would you pick? How about the latter? How about these Reebok Women's RB330 Black/Pink ZigKick Work EH Non-Metallic Composite Toe Athletic Shoes? What sets these black and pink shoes apart is exactly that - they're black and pink! But having totally non-boring, modern styling doesn't mean they can't protect you just as well. These Reebok shoes come with ASTM F2413-compliant XTR extra wide composite toe caps. They protect you from impacts and compressions on the jobsite. They're also non-metallic, along with the entirety of the women's shoes, making them security-friendly. You'll practically be able to waltz through the metal detectors! They also meet ASTM F2413 standards for electrical hazards as well. Can your regular tennis shoes do that? No! Another great safety feature on these composite toe shoes are the rubber slip-resistant outsoles. You won't be able to walk up walls like Spider-Man, but they'll give you good traction on challenging surfaces. The leather and mesh uppers fend off scrapes while adding breathability. These Reebok shoes also have good abrasion- and chemical-resistance, so they'll last longer, too! Great style: check. Great safety features: check. What's next? Why, comfort, of course! The moisture-wicking nylon mesh lining promotes good breathability, so your feet will stay drier. The removable FootFuel injected EVA cushion footbeds soften the impact of every step, while the extra wide toe boxes give you space to let your piggies wiggle. The ZigTech EVA midsoles are soft, light, and flexible, but still give you great shock-absorption. And, finally, the rigid TPU heel stabilizers give you a secure fit, so you can stride with confidence. If "Boring" isn't your middle name, get a pair of these Reebok Women's RB330 Black/Pink ZigKick Work Non-Metallic Composite Toe Athletic EH Shoes and make work fun again*! We have meter readers who walk there long route for 8 hours a day. They are required to wear a safety toed shoe. These shoes are comfortable and are durable and have held up in the most adverse weather conditions that the midwest can throw at us. We have bought many pairs and plan to buy many more in the future. 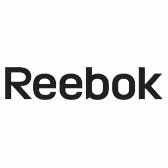 Reebok Shoes: Women's RB330 Composite Toe EH Non-Metal ZigKick Work Shoes is being added to your cart.